Congestion levels can as much as double during rush hour traffic in North American cities. Do you know what kind of traffic delay is ahead of you during rush hour? Or at any time of the day? 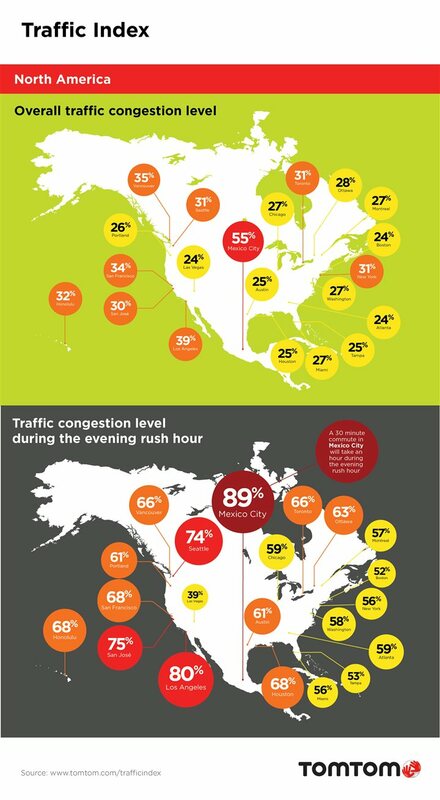 Check out the following infographic which provides a listing of North American cities and how they compare between overall traffic congestion and evening rush hour backups.